SHOLOKHOV (IRE), Champion 2yr old in Italy in 2001, won 1 race (7f. - 8f.) at 2 years and £302,949, placed 6 times including second in Coral Eurobet Eclipse Stakes, Sandown Park, Gr.1, Budweiser Irish Derby, Curragh, Gr.1 and King of Kings EBF Futurity, Curragh, Gr.2 and third in Aga Khan Studs National Stakes, Curragh, Gr.1; also won 1 race in Italy at 2 years and £69,820, Gran Criterium, Milan, Gr.1; sire; own brother to BASANTA (IRE) and ASPIRATION (IRE). ZAVALETA (IRE) (1991 f. by Kahyasi), won 5 races at 2 and 3 years and £47,903 including Athasi Stakes, Curragh, L. and Derrinstown Stud 1000 Guineas Trial, Leopardstown, L. and placed twice; also placed once in France at 3 years and £4,790; dam of 6 winners. DANELISSIMA (IRE) (f. by Danehill (USA)), 1 race at 3 years and £76,113, Irish Stallion Farms Noblesse Stakes, Naas, Gr.3, placed 5 times including third in Bet365 Lancashire Oaks, Haydock Park, Gr.2; dam of Fergus McIver (IRE) (c. by Sadler's Wells (USA)), 1 race at 3 years, 2009 and £48,848, placed 6 times including second in P W McGrath Memorial Ballysax Stakes, Leopardstown, Gr.3 and third in Derrinstown Stud Derby Trial Stakes, Leopardstown, Gr.2. Benicio (IRE) (g. by Spectrum (IRE)), 1 race at 3 years and £25,472, placed 13 times including second in Rochestown Stakes, Leopardstown, L. and third in Anglesey Stakes, Curragh, Gr.3. Daneleta (IRE) (f. by Danehill (USA)), 1 race at 2 years and £12,508, placed third in Anheuser Busch Railway Stakes, Curragh, Gr.3; also 1 race in France at 3 years and £31,124, placed 6 times including third in Tierce Magazine Canal Gd.Hp de Deauville, Deauville, L.; dam of INTENSE FOCUS (USA) (c. by Giant's Causeway (USA)), Jt 4th top rated 2yr old in Europe in 2008, 2 races at 2 years and £323,721 including Darley Dewhurst Stakes, Newmarket, Gr.1, placed 5 times including second in Coventry Stakes, Ascot, Gr.2 and Leopardstown 2000 Guineas Trial, Leopardstown, Gr.3 and third in One 51 Railway Stakes, Curragh, Gr.2; also placed in France at 2 years and £29,415 third in Prix Jean-Luc Lagardere-Grand Criterium, Longchamp, Gr.1, PLENTY COUPS (USA), 4 races in U.S.A. and placed twice. Simonetta (IRE) (f. by Lil's Boy (USA)), 1 race at 2 years and £12,147, placed twice including third in Woodpark & Ballysheehan Studs Stakes, Curragh, L.
COURONNE D'OR (IRE), 3 races in Japan at 3 and 6 years and £166,024 and placed once. AFFIANCED (IRE) (1998 f. by Erins Isle), won 3 races at 2 and 3 years and £60,385 including Debutante Fillies Stakes, Curragh, L., placed 8 times including second in Aga Khan Studs Blandford Stakes, Curragh, Gr.3 and Ardilaun House Hotel Oyster Stakes, Galway, L. and third in Diamond Stakes, Curragh, L., Ballyroan Stakes, Leopardstown, L. and Ballycullen Stakes, Curragh, L.; dam of 4 winners. 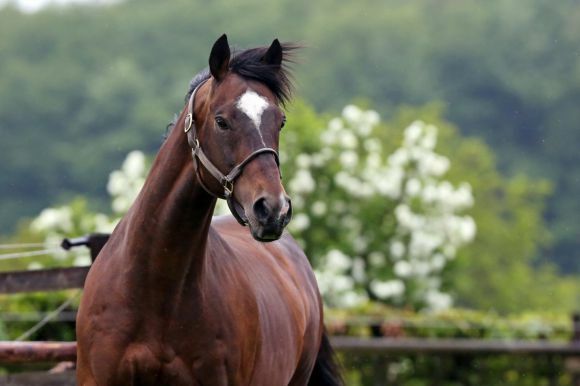 SOLDIER OF FORTUNE (IRE) (c. by Galileo (IRE)), 2nd top rated 3yr old in Europe in 2007, Champion 3yr old in Ireland in 2007, 4 races from 2 to 4 years and £766,696 including Juddmonte Coronation Cup, Epsom Downs, Gr.1, Budweiser Irish Derby, Curragh, Gr.1 and MBNA Europe Bank Chester Vase, Chester, Gr.3 and placed once; also 2 races in France at 3 years and £574,377, Prix Niel Casino Barriere d'Enghien, Longchamp, Gr.2 and Prix Noailles, Longchamp, Gr.2, placed 3 times second in Criterium de Saint-Cloud, Saint-Cloud, Gr.1 and Grand Prix de Saint-Cloud, Saint-Cloud, Gr.1 and third in Qatar Prix de l'Arc de Triomphe, Longchamp, Gr.1. HELIOSTATIC (IRE) (c. by Galileo (IRE)), 3 races at 2 and 3 years and £94,521 including Meld Stakes, Leopardstown, Gr.3 and P.Keatley Curragh Groundcare Silver Stks, Curragh, L., placed 5 times including second in Leopardstown 2000 Guineas Trial, Leopardstown, Gr.3 and Heritage Stakes, Leopardstown, L. and third in Ascon Rohcon Alleged Stakes, Curragh, L.; sire. CARRAIGLAWN (IRE) (c. by Rock of Gibraltar (IRE)), 2 races at 3 years, 2010 and £47,620 including Silver Stakes, Curragh, L. and placed twice, from only 6 starts. ARD FHEIS (IRE), 2 races at 3 years and £20,572 and placed 5 times. NAPPER TANDY (IRE) (2000 g. by Spectrum (IRE)), won 2 races at 2 and 3 years and £83,518 including Diamond Stakes, Curragh, L., placed 16 times including second in Killavullan Stakes, Leopardstown, Gr.3, Glencairn Stakes, Leopardstown, L. and Alleged Stakes, Leopardstown, L. and third in Jockey Club of Turkey Silver Stakes, Leopardstown, L.; also placed once in France at 2 years and £8,758. Nordic Fox (IRE) (1990 c. by Nordico (USA)), won 4 races at 2 and 3 years and £55,752, placed 10 times including second in EBF Leopardstown Stakes, Leopardstown, Gr.3 and third in Victor McCalmont Tetrarch Stakes, Curragh, Gr.3, Leopardstown 2000 Guineas Trial, Leopardstown, L. and Platinum Race, Fairyhouse, L.
Raghida (IRE) (1992 f. by Nordico (USA)), won 2 races at 2 years and £23,723, placed 5 times including second in Curragh Stakes, Curragh, Gr.3 and Molecomb Stakes, Goodwood, Gr.3 and third in Topaz Sprint Stakes, Tipperary, L. and Ali Retza & Mamadi Soudavar Garnet Stks., Naas, L.; dam of 4 winners. MARIONNAUD (IRE) (f. by Spectrum (IRE)), 7 races at 2 and 3 years and £195,431 including Coolmore Home of Champions Concorde Stks, Tipperary, Gr.3, Derrinstown Stud 1000 Guineas Trial, Leopardstown, Gr.3 and Gerrardstown House Silken Glider Stakes, Leopardstown, L., placed 11 times including second in Matron Stakes, Leopardstown, Gr.3 and Leopardstown 1000 Guineas Trial Stakes, Leopardstown, L. and third in Montjeu EBF Athasi Stakes, Curragh, L., Trigo Stakes, Leopardstown, L. and Ali Retza & Mamadi Soudavar EBF Garnet S, Naas, L., from only 19 starts. Rock Moss (IRE) (g. by Rock of Gibraltar (IRE)), 2 races at 2 and 3 years and £80,213, placed 8 times including second in St Jovite Renaissance Stakes, Curragh, Gr.3. BRAVELY (IRE), 3 races from 4 to 6 years, 2010 and £20,389 and placed 9 times. SKY MYSTIC (IRE), 1 race at 4 years, 2010 and £7,090 and placed 3 times. BASANTA (IRE) (1993 c. by Sadler's Wells (USA)), won 3 races at 3 and 4 years and £16,808 and placed 3 times, from only 8 starts. IRISH SUMMIT (IRE) (1995 c. by Erins Isle), won 3 races from 2 to 4 years and £13,641 and placed once. ROCK MEDLEY (IRE) (2007 c. by Rock of Gibraltar (IRE)), won 1 race at 3 years, 2010 and £19,325 and placed 7 times. ASPIRATION (IRE) (1996 f. by Sadler's Wells (USA)), won 1 race at 3 years and £3,229 and placed twice, from only 4 starts; dam of 6 winners. Chivalrous (IRE) (c. by Danehill (USA)), 1 race at 2 years and £28,541, placed 5 times including second in Go And Go Round Tower Stakes, Curragh, Gr.3 and third in Dubai Duty Free Anglesey Stakes, Curragh, Gr.3, all his starts. Red Shooter (IRE) (c. by Red Ransom (USA)), 4 races in Japan at 3 and 4 years, 2009 and £563,786, placed 6 times including second in Capital Stakes, Tokyo, L.
DIODEDE (IRE), 3 races in Italy at 3 and 4 years and £16,883 and placed 15 times. OPEN WAY (IRE), 3 races in France at 2 and 3 years and £32,436 and placed 6 times. SLIEVE MISH (IRE), 2 races at 3 years, 2009 and £41,492 and placed 4 times. GREAT HOPE (IRE), 2 races at 3 years and £18,146 and placed twice. 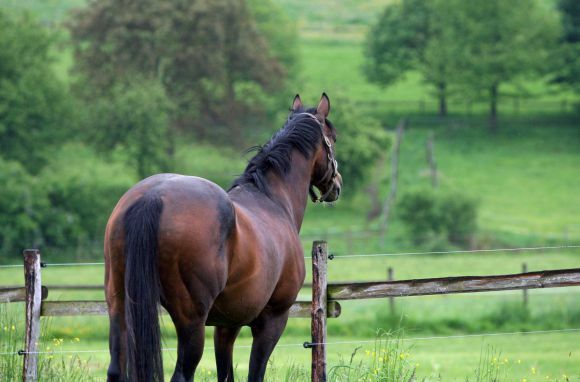 Saor Sinn (IRE) (2003 f. by Galileo (IRE)), placed twice at 3 and 4 years; broodmare. DOLYDILLE (IRE) (f. by Dolphin Street (FR)), won 7 races at 3 and 4 years and £67,717 including Mitsubishi Diamond Vision EBF Stakes, Curragh, L. and Ardilaun House Hotel Oyster Stakes, Galway, L., placed second in Palmers Golden Ball Foxrock Stakes, Leopardstown, L.; dam of winners. Drill Sergeant (GB), 3 races at 3 and 4 years, 2009 and £190,861, placed second in Weatherbys Insurance Lonsdale Cup, York, Gr.2 and third in stanjames.com Jockey Club Stakes, Newmarket, Gr.2; also 2 races over hurdles at 5 years, 2010, placed second in Coronation Street Newton Novices' Hurdle, Haydock Park, L.
SERGEANT ABLETT (IRE), 1 race at 2 years, 2010, from only 3 starts. Fascination (IRE), placed 5 times at 3 years, 2010. Martin Gunne (IRE) (c. by Mark of Esteem (IRE)), won 1 race at 3 years, placed third in Betdaq Racing Loughbrown Stakes, Curragh, L.
GOLDEN GRADUATE, placed once at 2 years; also won 6 races in Belgium at 3, 5 and 6 years. NO FIDDLING (IRE), placed 4 times at 3 years; also won 1 race over hurdles at 5 years and won 3 races over fences at 6, 7 and 9 years and placed 5 times; also won 1 point-to-point at 9 years and placed 9 times. RECOVERY MAN (IRE), won 1 N.H. Flat Race at 6 years and placed 3 times; also won 1 race over hurdles at 7 years and placed 5 times. GORMANS BEST (IRE), placed 3 times at 3 and 5 years; also won 1 race over hurdles at 5 years and placed once. CANADIAN PATRIOT (IRE), won 1 race at 3 years and placed twice; also placed twice in France and Germany at 4 years. GRATEN (IRE), won 1 race at 3 years and placed once, from only 4 starts; dam of winners. Sweet And Sour (IRE), 4 races in France at 3 years and £62,567, placed third in Prix Solitude, Fontainebleau, L.
GAUGUIN (IRE), 5 races in France from 2 to 4 years and £58,424 and placed 7 times. WHITE FRONT (IRE), 1 race at 2 years, 2009 and placed twice, from only 4 starts. PAM (IRE), 1 race in France at 2 years, 2010. TOPSEYS TIPPLE (IRE), won 1 race at 3 years; dam of winners. Maduka (IRE), 3 races at home and in Belgium at 2 and 4 years, placed third in Cork Stakes, Leopardstown, L.
MISS MOSELLE (IRE), 1 race at 3 years and placed 4 times; also 2 races in Kingdom of Saudi Arabia at 4 years and £25,322 and placed 8 times. NO TIPPLING (IRE), 1 race at 3 years and placed 3 times; dam of BAY OF FIRES (IRE), 2 races at 2 years, 2010 and placed twice. Nephrite (f. by Godswalk (USA)), won 3 races, placed 5 times, placed third in Goldene Peitsche, Baden-Baden, Gr.3; dam of winners. Calamity Kate (IRE), placed 11 times; dam of Dreamy Gent (IRE), 1 race at 8 years, 2010; also 4 races over hurdles and 1 race over fences, placed second in B. O'Sullivan Frayden Haulage Hcp Hurdle, Killarney, Gr.3 and third in Gain Horse Feeds Handicap Hurdle, Punchestown, Gr.3. Gravina, placed twice; dam of winners. MR HOUDINI (IRE), 3 races including Glencairn Stakes, Leopardstown, L., placed second in Amethyst Stakes, Leopardstown, L., Glencairn Stakes, Leopardstown, L. and Cork Sprint Stakes, Cork, L.
Mitra (IRE), 1 race, placed third in EBF Irish Cambridgeshire Handicap, Curragh, L.
Seit Beginn seiner Deckhengstkarriere in der Spitzengruppe der deutschen Vererber. Vater des amtierenden „Galoppers des Jahres“ Night Magic, Siegerin im Großer Preis von Baden (Gr. I) und Henkel Preis der Diana (Gr. I), Rating 99 kg, gewinnreichstes in Deutschland trainiertes Pferd 2010. Sieger u.a. im Gran Criterium (Gr. I). Er war innerhalb einer Woche Zweiter im Irish Derby (Gr. I) und in den Eclipse Stakes (Gr. I). Nah verwandt zu den Gr. I-Siegern Intense Focus und Soldier of Fortune. Sohn von Sadler’s Wells, dem weltweit einflussreichsten Deckhengst der letzten Jahrzehnte. Nähere Infos über die Nachkommen erhalten Sie beim Klick auf die Namen der Pferde - dann kommen Sie zu den Profilen mit Pedigree, Rennleistungen und Videos. Der Diana-Trial in Hoppegarten gehört zu den meistdiskutierten Rennen der deutschen Galoppgeschichte und beschäftigte die Renngerichtsbarkeit gleich über mehrere Instanzen. Dazu die Erklärung des Direktoriums im Wortlaut: Die Besitzerin des zweitplatzierten Pferdes Wasimah legte gegen die Siegerin Monami Protest wegen fehlender Zulassung (nicht fristgerechte Nachnennung) ein. Die RL wies den Protest zurück. Gegen diese Entscheidung legte die Besitzerin von Wasimah Berufung beim Renngericht ein. Auf die Berufung der Besitzerin des zweitplatzierten Pferdes Wasimah änderte das Renngericht die Entscheidung der RL ab und disqualifizierte die Siegerin Monami wegen fehlender Zulassung und nahm sie aus der Platzierung. Nach einer Revision des Direktoriums und des Besitzers des Pferdes Monami verwies das Obere Renngericht die Angelegenheit zur erneuten Entscheidung an das Renngericht zurück. In der erneuten Renngerichtsverhandlung wurde ein Vergleich beider Parteien geschlossen, wonach es bei der ursprünglichen Platzierung verbleibt. Erste Black Type-Siegerin für Sholokhov! Ann & Alan Potts Ltd.
b. H. v. Sholokhov - Mistic World (Monsun) Stall Astana R.A.
b. H. v. Sholokhov - Stigma (House Rules) K-K Metal a.s.
b. H. v. Sholokhov - Perima (Kornado) Oak Tree Bldst.u.Summerhill Bldst. b. St. v. Sholokhov - Vive la Vie (Big Shuffle) Dr. Hubertus Diers u.a. F. St. v. Sholokhov - Antiope (Acatenango) Galopp Club Bremen e.V. F. H. v. Sholokhov - Morbidezza (Lecroix) I.G.E.P. Zu Beginn dieses Jahrhunderts hatte der irische Trainer Aidan O’Brien in seinem Stall in Ballydoyle eine ganze Armada von erstklassigen Hengsten zur Verfügung. High Chaparral, Hawk Wing, Rock of Gibraltar, eigentlich auf allen Distanzen war er mit den Pferden eine Macht. Und er hatte Sholokhov, ein weiterer Vertreter des Jahrgangs 1999, der in den Farben von Sue Magnier an den Start kam. Seinen Erstauftritt hatte dieser am 15. Juli 2001 auf dem Curragh, als er im European Breeders Fund Maiden über 1400 Meter als Favorit an den Start kam. Unter Mick Kinane enttäuschte er seinen Anhang nicht, setzte sich gegen acht Gegner sicher durch. Damit hatte er sich automatisch für die besseren Rennen seines Jahrgangs qualifiziert, in den er dann auch gleich antrat. Doch hatte er halt das Pech, als Boxennachbarn wahre Größen der damaligen Zeit zu haben. So traf er in den Futurity Stakes (Gr. II), ebenfalls über 1400 Meter auf dem Curragh, auf Hawk Wing (Woodman), den sich Stalljockey Mick Kinane auch ausgesucht hatte und der mit drei Längen Vorsprung auf Sholokhov gewann. Auch in den National Stakes (Gr. I), erneut über 1400 Meter, kam Hawk Wing als erste Farbe seines Quartiers zum Zuge, Sholokhov, der als Tempomacher eingesetzt wurde, belegte einen respektablen dritten Platz. Bei seinem letzten Start in der ersten Rennsaison war Sholokhov dann aber auf eigene Rechnung am Start. Er wurde nach Italien zum Gran Criterium (Gr. I) nach Mailand geflogen und unter Mick Kinane machte er wenig Aufhebens von der Konkurrenz, gewann leicht gegen die aus England angereisten Swing Wing (In The Wings) und Mister Cosmi (Royal Applause). Dreijährig startete er in den 2000 Guineas (Gr. I) in Newmarket, hatte jedoch in dem von seinen Stallgefährten Rock of Gibraltar (Danehill) und Hawk Wing dominierten Rennen keine Chance. Unter seinem damals ständigen Reiter Paul Scallan trat er dann gleich innerhalb von einer Woche zweimal als Tempomacher an. Das war zunächst im Irish Derby (Gr. I) über 2400 Meter auf dem Curragh, in dem er als 200:1-Außenseiter gesattelt wurde, allerdings eine vorzügliche Vorstellung gab und nur von dem 1:3-Favoriten High Chaparral (Sadler’s Wells) geschlagen wurde, seinerseits aber vor dem höher eingestuften Trainingsgefährten Ballingarry (Sadler‘ Wells) blieb. Nur wenige Tage später wurde er zusammen mit Hawk Wing über die Irische See nach England geflogen, wo beide in den Eclipse Stakes (Gr. I) über 2000 Meter in Sandown antraten. Bei fast schon durchlässigem Boden machte Sholokhov wie gewohnt das Tempo, ließ dem auf 8:15 herunter gewetteten Stallgefährten am Ende den Sieg, war aber selbst erneut ausgezeichneter Zweiter vor Equerry (St. Jovite). Das waren zwei erstklassige Vorstellungen und man kann nur spekulieren, was passiert wäre, wenn Sholokhov auf eigene Rechnung gelaufen wäre. Auch der anschließende vierte Rang in den Irish Champion Stakes (Gr. I) über 2000 Meter war eine achtbare Leistung, auch wenn das Konzept von Ballydoyle nicht ganz aufging, denn Hawk Wing wurde von Godolphins Grandera (Grand Lodge) geschlagen. Sholokhov selbst blieb immerhin vor einem so guten Pferd wie No Excuse Needed (Machiavellian). Diese Rennen hatten jedoch Kraft gekostet, das zeigte sich im Englischen St. Leger (Gr. I), das Sholokhov als einziger Kandidat von O’Brien bestritt und in dem ihm die Distanz zu weit wurde. Er war dann als Pacemaker noch einmal Vierter in den Queen Elizabeth II Stakes (Gr. I) über 1600 Meter und blieb beim letzten Start in einer anstrengenden Saison in den Champion Stakes (Gr. I) in Newmarket unplatziert. Sholokhov wurde dann an Gary Tanaka verkauft, lief in der Obhut von Trainer Michael Jarvis als Vierjähriger aber nur noch ein einziges Mal. Bei sieben seiner zwölf Starts war Sholokhov der „Hase“ für seine Stallgefährtin, schlug sich dabei mehr als bravurös. Das gilt es zu bedenken, wenn man sich seine Rennlaufbahn anschaut. Als er, wie etwa in Mailand, auf eigene Rechnung am Start war, wurde er immerhin Gruppe I-Sieger. Es wird einer akribischen Arbeit benötigen, um festzustellen, wie viele Söhne des 2011 im stolzen Alter von dreißig Jahren eingegangenen Sadler’s Wells (Northern Dancer) weltweit in der Zucht tätig sind. Mit Sicherheit wird man auf eine dreistellige Zahl kommen, er ist ganz sicher der einflussreichste Vererber unserer Zeit. Mit Galileo hat er einen würdigen Nachfolger gefunden und bereits in der nächsten Generation sind die ersten Hengste erfolgreich im Gestüt tätig, wie Söhne von Galileo und In The Wings beweisen. Sholokhov kann aber auch mütterlich auf eine erstklassige Abstammung verweisen. Die Mutter La Meilleure hat zwei und dreijährig zwei Rennen gewonnen, darunter die Mc Grath Stakes (LR) auf dem Curragh, war Dritte in den Phoenix Sprint Stakes (Gr. III). Schon jetzt kann sie als Zuchtstute in erster wie auch zweiter Generation und dritter als voller Erfolg bezeichnet werden, denn immerhin vier ihrer männlichen Nachkommen sind in der Zucht. Von ihren Söhnen ist es Sholokhov, dazu Intense Focus (Giant’s Causeway), Sieger in Dewhurst Stakes (Gr. I), der Irish Derby (Gr. I) und Coronation Cup (Gr. I)-Sieger Soldier of Fortune (Galileo) und der Gr. III-Sieger Heliostatic (Galileo). Mit Ausnahme von Sholokhov sind sie in der Zucht noch nicht zu beurteilen, doch hatte Heliostatic, der im irischen Oak Lodge Stud steht, mit seinem ersten Jahrgang einen hervorragenden Start. La Meilleure ist Mutter von zehn Siegern, vier haben Gr.-Rennen gewonnen. Ihre Tochter Zavaleta (Kahyasi) war Listensiegerin, sie ist Mutter der Gr. III-Siegerin und Gr.-Vererberin Danelissima (Danehill) und der Gr.III-platzierten Daneleta (Danehill), die wiederum Mutter des erwähnten Intense Focus ist. Eine weitere Tochter von La Meilleure ist Affianced (Erins Isle), die neben Soldier of Fortune und Heliostatic den Listensieger Carraiglawn (Rock of Gibraltar) gebracht hat. Raghida (Nordoco), eine weitere Tochter von La Meilleure, war mehrfach gruppeplaziert, sie ist Mutter der zweifachen Gr. III-Siegerin Marionnaud (Spectrum). Erfolgreiche Söhne dieser exzellenten Zuchtstute waren Napper Tandy (Spectrum), Listensieger und gruppeplatziert, sowie der auf Gr. III-Ebene platziert gelaufene Nordic Fox (Nordico). Der 4x4 auf Forli ingezogene Sholokhov stammt somit aus einer sehr lebendigen Familie, von der in näherer Zukunft noch Einiges zu erwarten ist.